Accent their outfit with your advertisement! 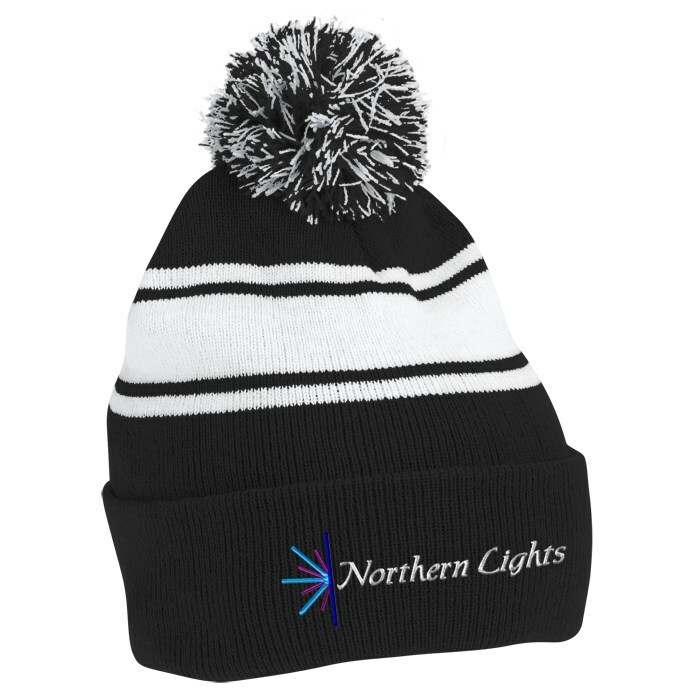 Your logo will stand out of the crowd on these fun, striped pom pom beanies. 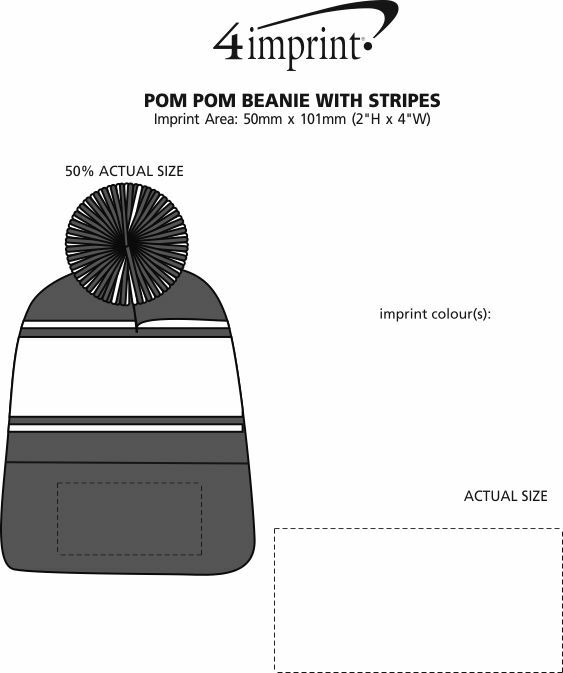 The large pom pom on top and the bold stripes act as instant eye-catchers. This comfortable beanie also blocks out the wind and cold so you can take your promotion into winter territory. Offers snug protection and comfort around the ears and noggin. Knit material provides durable construction and a stretchy fit. Your price includes embroidery on the front of the beanie. One-time tape charge: add $35 for less than 72 pieces; FREE on 72 or more!